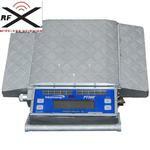 PT300-RFX scales have been setting the bar for portable, self-contained, compact wheel load scales for decades. Used to maximize legal payloads with concern for violations and reduction of maintenance due to overload stress on equipment, these all aluminum, fully electronic scales are capable of weighing up to 40,000lbs (18,000kgs) with an accuracy of ± 1%. 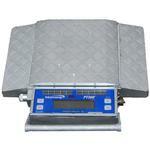 PT300 scales have been setting the bar for portable, self-contained, compact wheel load scales for decades. Used to maximize legal payloads with concern for violations and reduction of maintenance due to overload stress on equipment, these all aluminum, fully electronic scales are capable of weighing up to 40,000lbs (18,000kgs) with an accuracy of ± 1%. 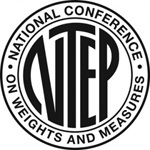 Progressive advancements in weighing technology have opened the doors to improving on this time-tested industry standard. Today, PT300 scales are built with fully integrated RFX Wireless Weighing Technology providing the ability for scale data to be received, recorded, and observed on a variety of indicators; as well as control scale functions remotely. iVehicleWeigh Scale App - Input weight data into an iPhone, iPod or iPad to save and email information easily and conveniently.